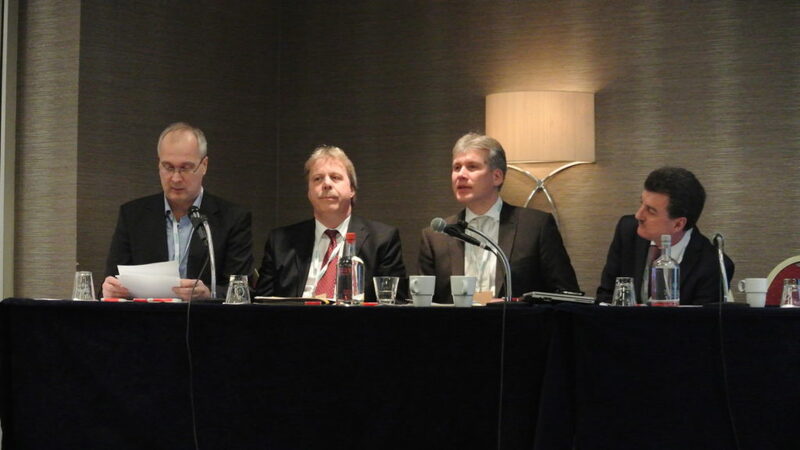 The GlobalPSC and several of our members addressed a range of packaging extended producer responsibility (EPR) and product stewardship issues for packaging and printed paper in Brussels, Belgium, late February as part of the EPR Toolkit Seminar and Packaging Waste & Sustainability Forum. Joachim Quoden, Managing Director of the Extended Producer Responsibility Alliance (EXPRA) and member of the GlobalPSC Advisory Group, chaired the EPR Toolkit Seminar on 24 February. The seminar emphasised harmonising EPR rules and guidelines in Europe, learning from international experience (including lessons on Australia by GlobalPSC CEO Russ Martin and Canada by Chris van Rossem of the Canadian Stewardship Services Alliance) and the roles of transparency and competition. The roles of packaging and EPR in the Circular Economy and in ensuring transparency and accountability of producers were hot topics of discussion throughout the events, analysis of which will be made available to GlobalPSC members.